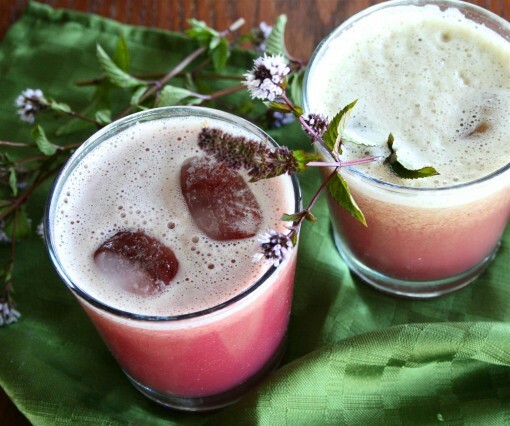 Simply juice everything together with a juicer and pour into two glasses with ice. Garnish with mint for little flair and taste. Enjoy!